First of all, due to popular demand, we've been working on pre-Early Access Beta availability. 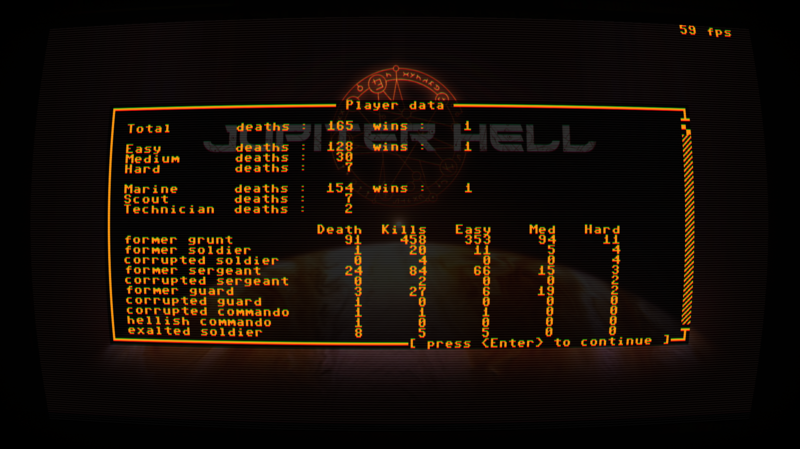 We're now happy to offer Jupiter Hell BETA via itch.io! Note that buying BETA access through itch.io will still provide you a Steam key at Early Access! If you're a backer of Jupiter Hell at the player level below BETA access and want to upgrade to BETA, e-mail us at ( support at chaosforge org ) with your Kickstarter data (backer number and e-mail used) for a 75%-off coupon for the BETA - (you will still be entitled to only one Steam key though!). At this moment the BETA costs more than the game will cost at Early Access - this is done to be fair to Kickstarter backers. The game will have a regular lower price at Early Access launch - tentatively scheduled for June! Since 0.4.0 we've been hard at work on the Vulkan renderer (and following that, OSX support) - the task proved to be more tricky than we anticipated, and while we're not quite there yet, we're pretty close! Apart from that we've implemented player data, several new traits, exalted (champion) enemy groups, did a full overhaul of level generation parameters, started implementing modular weapons, and in the background created (but not yet implemented in-game) the visuals for Io! Early Access is might be still almost half a year away, but time is ticking! We're comited to both finishing long term tasks (Vulkan, I'm looking at you! ), as well as seriously upping up implementation of gameplay systems. Below is a list of things that we hope to achieve for the 0.6.0 release! You can check the Steam news posts for detailed changelogs! Copyright ChaosForge Ltd. — All Rights Reserved.